Description : A model import from SM64's Big Boo's Haunt. I think its pretty nostalgic to be driving around this place. I added SM64 Koopa Troopa Shells in place of rockets and made the icons for them. I exported Koopa and removed him from his body and used his shell! 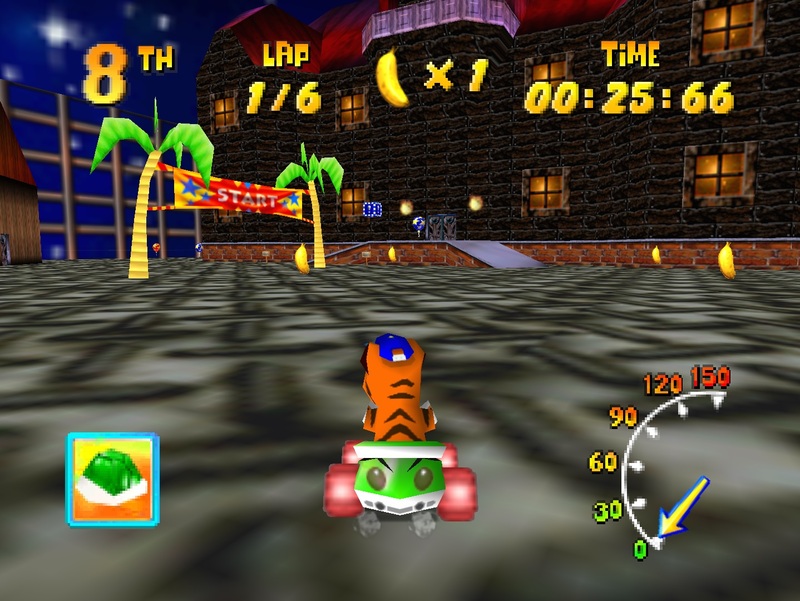 There is also a ghost that actually moves around the whole track as you drive through sometimes he goes into boo's mansion but he comes back out its his pattern. Additional Credits : Mosky2000 for creating the music. Super Mario 64 assets. New Music : Yes - Mosky2000 Created/Ripped the SM64 Bob Omb midi. The original song for this level just would not fit. Base : Imported Model extracted from SM64 using Lemmy's plug in. Important Notes : I have a main project that I am working on, but I wanted to release something on the side. So hope you enjoy this one its pretty nostalgic at the least.